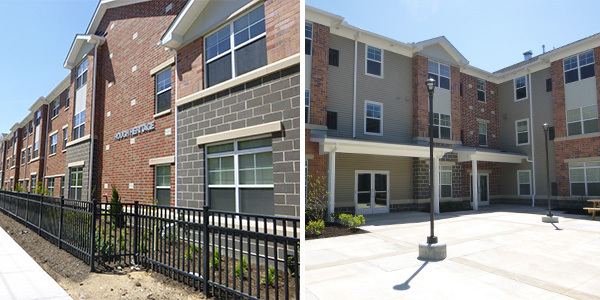 Briggsdale Apartments II is a newly-constructed housing credit development, which includes 40 one-bedroom units of permanent supportive housing, located on the southwest side of Columbus. The development is an expansion of the owner's Briggsdale Apartments I, a 35-unit Permanent Supportive Housing development that was opened in 2006. Briggsdale II provides an environment that supports recovery and housing retention to individuals who struggle with homelessness, mental illness and/or addiction. 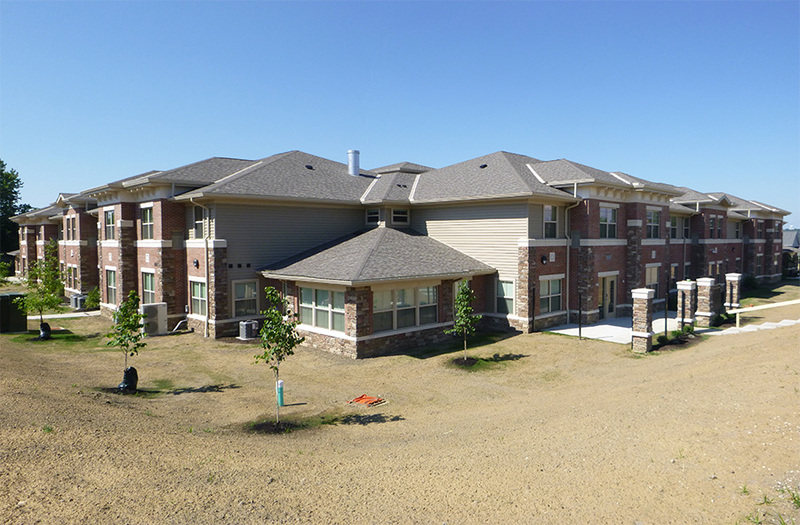 All 40 units in Briggsdale Apartments II are designated for those with special needs. Of the 40 units in the development, 32 are reserved for homeless individuals, and eight are for non-homeless individuals. These eight units are set aside for Franklin County Board ADAMH clients. All units have rental assistance. 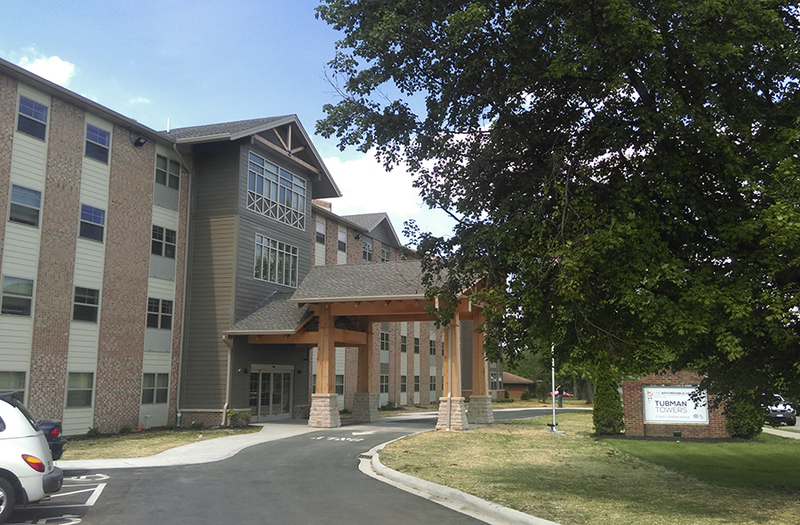 Resident amenities include a basketball court, art therapy, health monitoring, bicycle storage and unit furnishings. The development is close to services and is on a bus line that offers several stops per day. 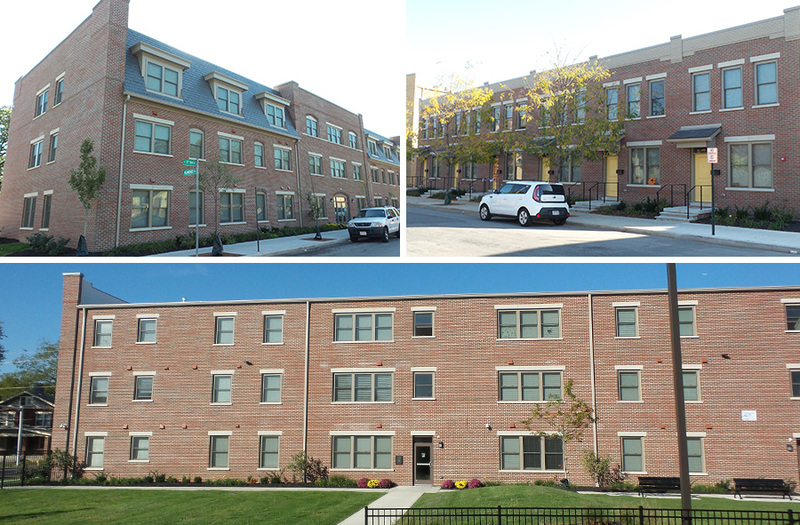 Hough Heritage is a 60-unit senior rental development in the Hough neighborhood of Cleveland. Hough Heritage is a catalyst in the ongoing revitalization efforts of the culturally-rich Hough neighborhood. The project was part of a $165 million neighborhood plan designed to offer quality housing and retail opportunities for persons of all incomes. Consequently, the City of Cleveland selected it as their number one priority development for the 2015 tax credit round. The project provides a critically important housing option for many seniors who want to remain in the neighborhood but are no longer able to maintain their existing homes. Hough Heritage provides a place for these residents to remain in the neighborhood and age-in-place through the incorporation of Universal Design elements and seven fully-accessible units. The building also includes community and media rooms, a fitness center, on-site laundry facilities, outdoor community areas with raised planter beds for gardening, grills, a gazebo and on-site social services. The Community Gardens is a new construction, affordable senior rental housing community located in Springfield, Clark County. The project consists of 50 two-bedroom units based in a "pocket neighborhood" development. Pocket neighborhoods are small, pedestrian-friendly neighborhoods within a larger development, creating opportunities for social interaction and building a strong sense of community among neighbors while also preserving a need for privacy. Project amenities include a playground, greenspace, a gazebo, a health clinic and pedestrian walkways connecting shared green and recreational spaces throughout the development. Each ranch-style unit is fully accessible, has attached garages, washer/dryer hookups, ceiling fans and covered front porches. The project is seeking certification through Enterprise Green Communities. Laurel Green Apartments is a new construction, three-story development located in Columbus, Franklin County. The project consists of 40 one-bedroom units, including a resident manager unit. The project is a permanent supportive housing development, designed to serve individuals who have a severe mental health diagnosis. Laurel Green will provide service-enriched housing, which will include interaction and regular monitoring by the Franklin County ADAMH Board. Services are being offered as in-kind support from peer-directed services and community-based providers. Project amenities include video surveillance, a community room with community kitchen, several resident lounge areas, multipurpose room/fitness center and a computer center. Unit amenities include microwave ovens, ceiling fans and intercoms. The project is seeking LEED Silver Certification. The development is located on a lot purchased from the City of Columbus Land Bank, is on a bus line that has frequent stops and is within walking distance to community services, as well as being in very close proximity to social and recreational opportunities. Thirty-one units will be affordable to and occupied by residents at or below 50% AMGI, eight units will be affordable to and occupied by residents at or below 30% AMGI and one unit will be reserved for a resident manager. This development was selected due to leveraging multiple funding sources, including OhioMHAS, and all units will be subsidized by project-based Section 8 Housing Choice Vouchers from the Columbus Metropolitan Housing Authority. Nelsonville School Commons is an adaptive reuse of the former Nelsonville High School and Junior High School. The project includes a mix of one – and two-bedroom units in a three-story elevator building within the heart of the city's historic district. Funding provided by OHFA enabled the owner to complete a historic rehabilitation of the 1920's-era structure while maintaining some of the unique classroom features throughout the building, including slate blackboard walls, refinished original hardwood floors and the original clock tower-like belfry. In addition to the unique features, the project includes a fitness center, Energy Star appliances, high-efficiency HVAC and an ADA-accessible playground. All of the units will be affordable to and occupied by households at or below 60 percent of the AMGI. The development is located in a very walkable community with a variety of shops, eateries, recreational and community services within one mile of the project. The project received Enterprise Green Communities Certification, local community support and was considered a priority project for the city of Nelsonville. Located at the site of the former Heyl Elementary School on Columbus's South Side, Residences at Career Gateway is an urban infill site that was redeveloped into 58 residences for families. The project includes townhomes with garages, as well as a three-story, elevator-served building that offers a community room, fitness center, computer stations and dedicated workforce training space. 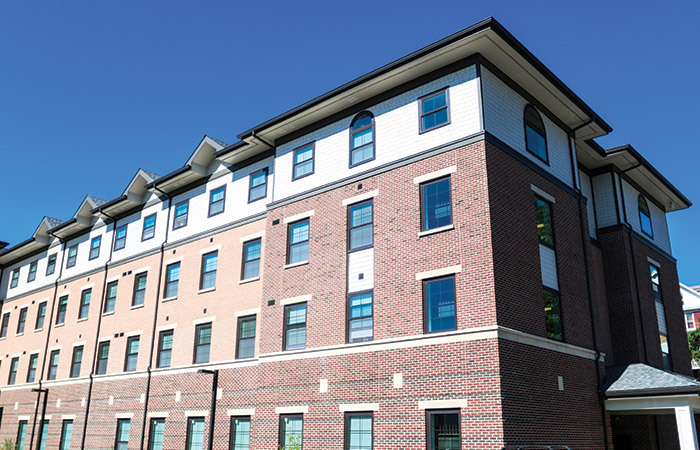 This workforce development housing is located in an area that has seen a tremendous amount of growth over the past several years, most notably with the expansion of Nationwide Children's Hospital (NCH). The development team has created a strategic partnership with NCH as part of the hospital's Healthy Families (HNHF) initiative. This initiative will provide high-quality housing, training and job placement for area residents who reside in close proximity to NCH and its more than 10,000 employment opportunities. Columbus State will also offer workforce training for in-demand occupations to eligible residents of Career Gateway. 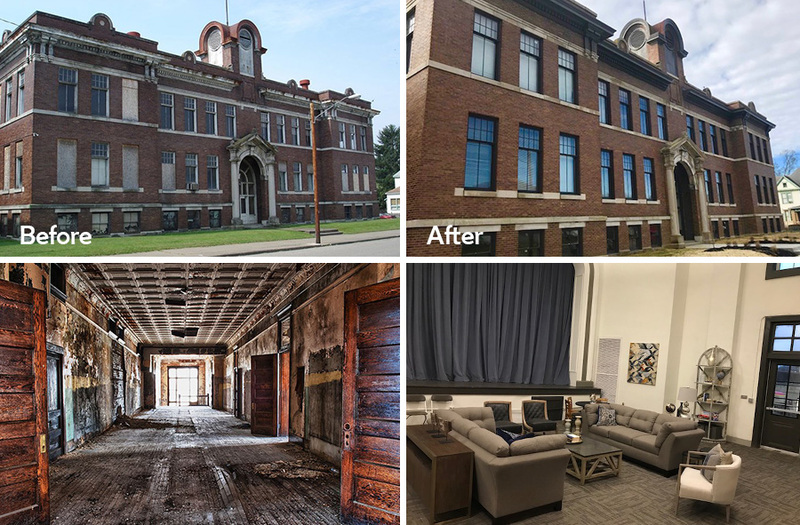 The project meets OHFA's policy goals by supporting projects that redevelop vacant or foreclosed buildings, leverage non-OHFA financial resources and partners with local employers. Residences at Career Gateway received local development priority from the City of Columbus, and, upon completion, the project will receive Enterprise Green certification. Southwick Manor is an affordable housing development that helps residents stay active and independent within their community. 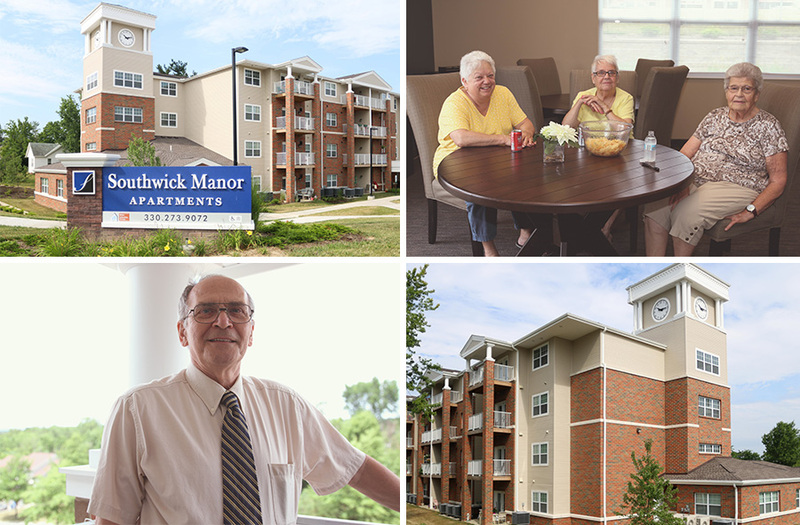 Located in Brunswick, Ohio, Southwick Manor provides 54 units of affordable housing to seniors and includes a community room, computer center, media room and fitness center to keep residents active and engaged as they age. Medina County in Ohio has an aging population and a scarcity of affordable housing for seniors. 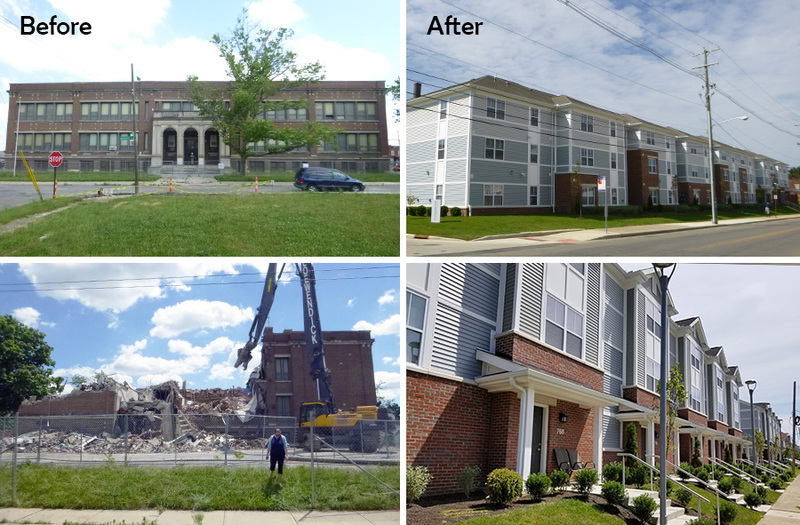 To create this property, OHFA provided a Housing Development Loan of $1 million and $820,000 in Low-Income Housing Tax Credits. The property was developed by MV Residential Development, LLC, and is managed by the Medina Metropolitan Housing Authority. Batavia Village Apartments contains a mix of two-bedroom townhome units, three-bedroom units and four-bedroom units throughout nine apartment buildings. 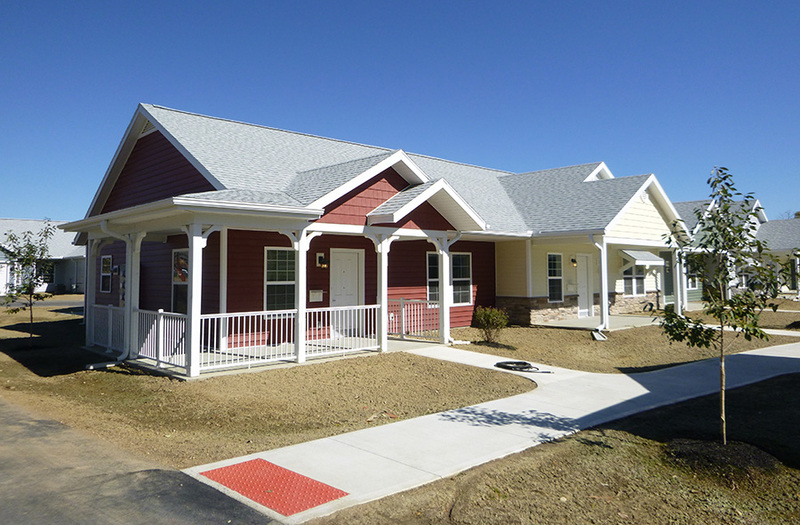 The funding provided through OHFA enabled the owner to complete a moderate rehab of the 37-year old community, including landscaping and site improvements, an expanded management building to allow for on-site resident services, new siding on the building exteriors, new central HVAC and new cabinets, appliances and fixtures in the kitchens. The development is within one mile of a variety of shops and businesses, which provide services for the residents in the community. Three units will be affordable to and occupied by households at or below 35 percent of the AMGI, 17 units will be affordable to and occupied by households at or below 50 percent of the AMGI and the remaining 30 units will be at 60 percent of the AMGI. Additionally, the property is able to provide housing to extremely low-income families with the benefit of a project-based, Section 8 Housing Assistance Payments (HAP) contract. The Commons at Madison is a partnership between the three premier mental health and drug addiction service providers in Youngstown: Compass & Community Services, Meridian Community Care and Help Hotline Crisis Center. 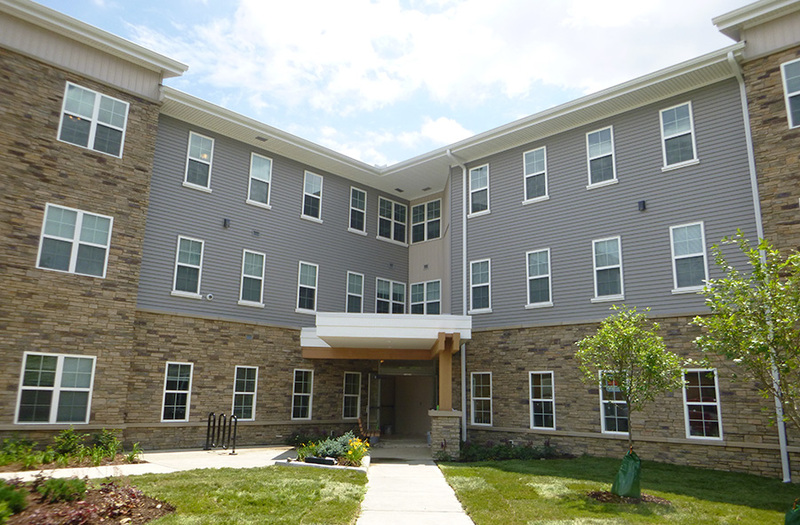 Along with the Youngstown Metropolitan Housing Authority, this project has brought 40 new-construction, one-bedroom permanent supportive housing units to the Youngstown market. The project is accessible to many local amenities, and on-site transportation is provided by the sponsors for needs that are not within walking distance. The project met OHFA policy goals by supporting permanent supportive housing for the homeless, valuing development teams that demonstrate collaboration in providing services and valuing properties that provide rental subsidy for the residents. The project was selected as an innovative housing submission for its comprehensive service provision and financial leveraging. The Commons at Madison received local and legislative support and was selected as the highest priority of the Mahoning County Continuum of Care. Columbus Scholar House is a housing credit rental development for families, located near a redeveloping commercial corridor in the King-Lincoln District of Columbus. 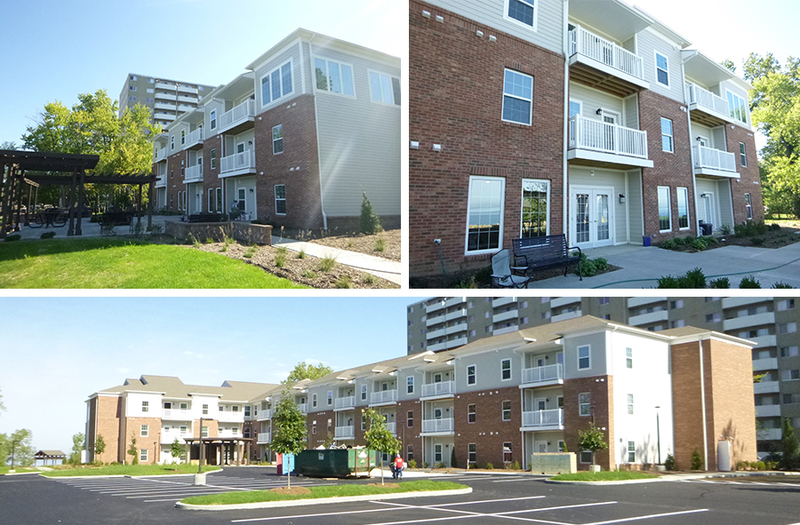 The project included the construction of 18 garden-style apartments and 10 townhomes, as well as the acquisition of 10 NSP3 units within the recently constructed Charles Building. The target population of Columbus Scholar House is at-risk students who are currently pursuing post-secondary education and are also parents. The development team established partnerships with many area institutions, including The Ohio State University, Columbus State Community College and various supportive service agencies. The project serves extremely low-income populations, received Enterprise Green Communities Certification and was part of a local revitalization and economic development plan. The city of Columbus selected Columbus Scholar House as a local development priority, and the Columbus Metropolitan Housing Authority is providing project-based Section 8 vouchers for all families in the project. The Anna Louise Inn is a new 85-unit development for at-risk, very low-income women who have experienced homelessness. 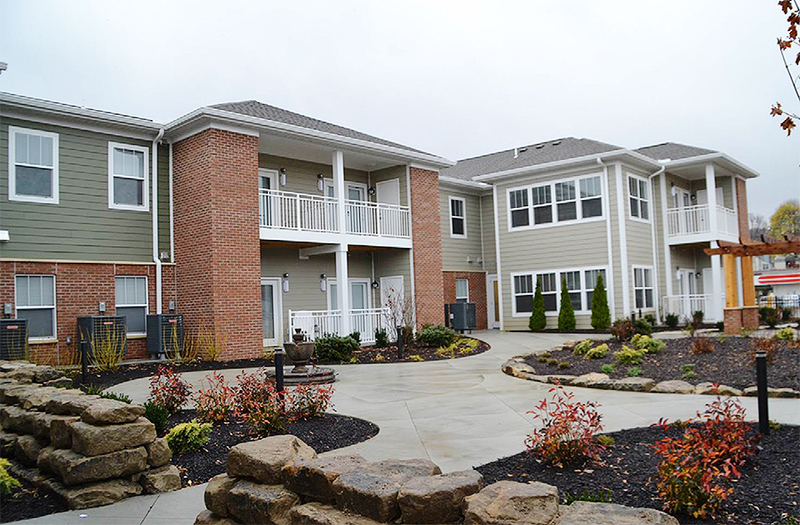 Located in Cincinnati, Hamilton County, the residents will have access to on-site social services and management. Each unit contains its own kitchenette, living space, bedroom and bathroom. Other amenities include a computer center, a fitness facility, a community space and an outdoor courtyard that is secured. It is in close proximity to public transportation, a library, schools and other social services. The John W. Clem House is an 11-bed emergency shelter for men with substance abuse issues with eight beds reserved for homeless veterans. The House is a substance-free environment with a house manager, shared living and support services. While clinical services are not offered, residents are linked to additional services outside the House. 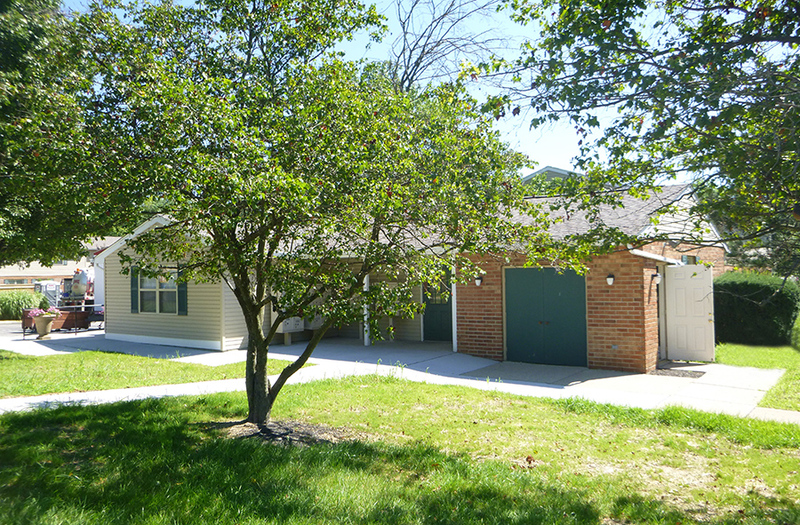 The House is owned by the Alcohol Dug Addiction and Mental Health Services Board of Athens, Hocking and Vinton Counties and offers residents an opportunity to begin a new life. Kenmore Place is a 40-unit new construction development in Akron, Summit County. This senior development offers one- and two-bedroom apartments. Residents will be able to easily access all floors using the elevator. Building amenities include a community room with a kitchenette, a laundry room, fitness facility and offices for the support services administrator and property manager. 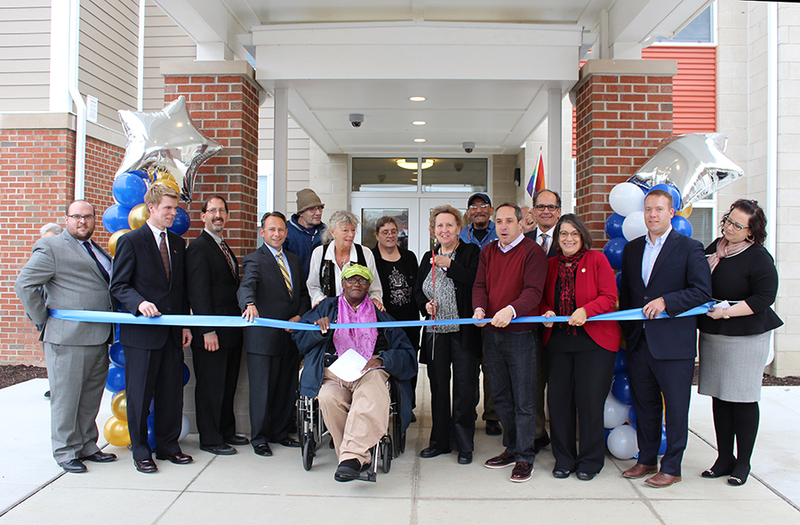 The adjacent Kenmore Senior Community Center will offer additional services for residents. The Lofts at Lion Mills is an adaptive reuse of Cleveland's historic Lion Knitting Mill, which produced knitted goods for the military. The historic rehabilitation transformed the building into 36 units of affordable housing for families. The project is located in a heavily traveled corridor, is adjacent to the MetroHealth Medical Center (one of Cleveland's largest employers) and has parking available for residents. The project met OHFA policy goals by supporting a development with a revitalization plan that served extremely low-income populations. The building was owned by a state-certified CHDO and developed by an experienced team. 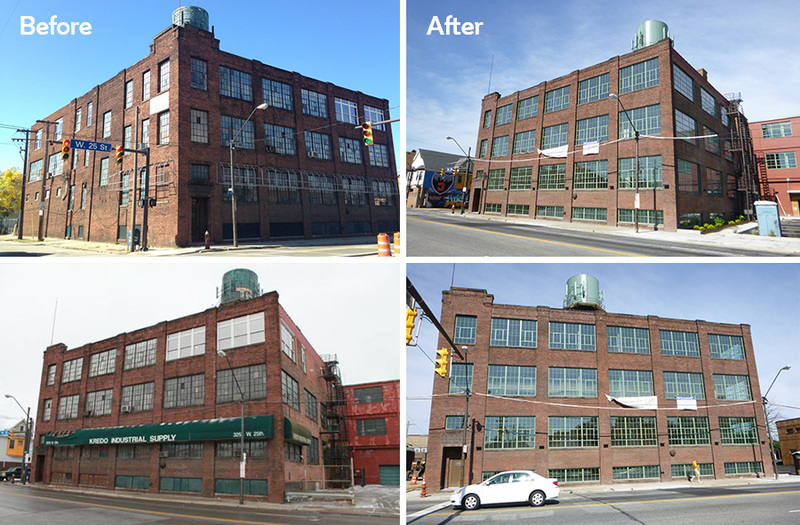 The project received priority designation in the City of Cleveland and was also a recipient of historic tax credits. A Place for Us provides 24 one-bedroom and 21 two-bedroom homes in a supportive environment for seniors and members of the LGBT community who are over the age of 55. It is the first affordable housing development in Ohio that caters to LGBT seniors and is one of only a handful across the nation. The green building promotes sustainable living, is across the street from the rapid transit station and includes a community room, computer lab, fitness center and a garden terrace. 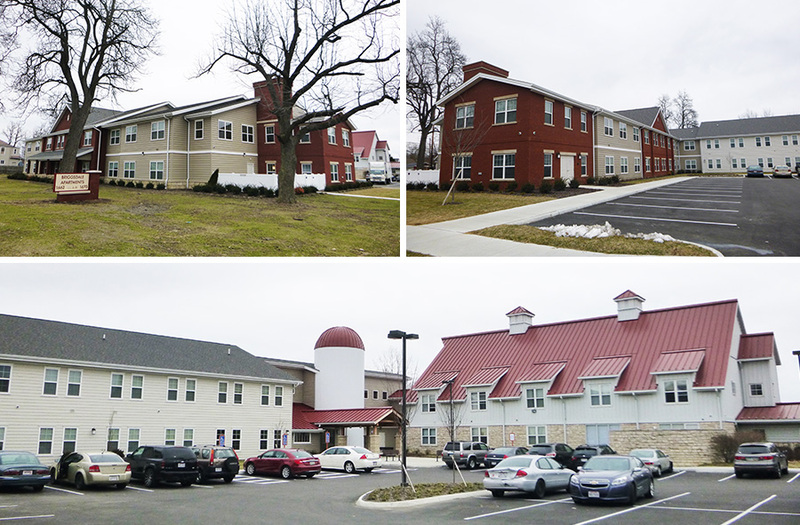 Tubman Towers rehabilitated 99 units of low-income housing for seniors in the City of Springfield. The building was first constructed in 1970 and had seen very little investment since then. OHFA's funding helped to renovate the building into a safe, modern, environmentally-friendly facility. The project also helped to preserve valuable Section 8 subsidy for those living there. 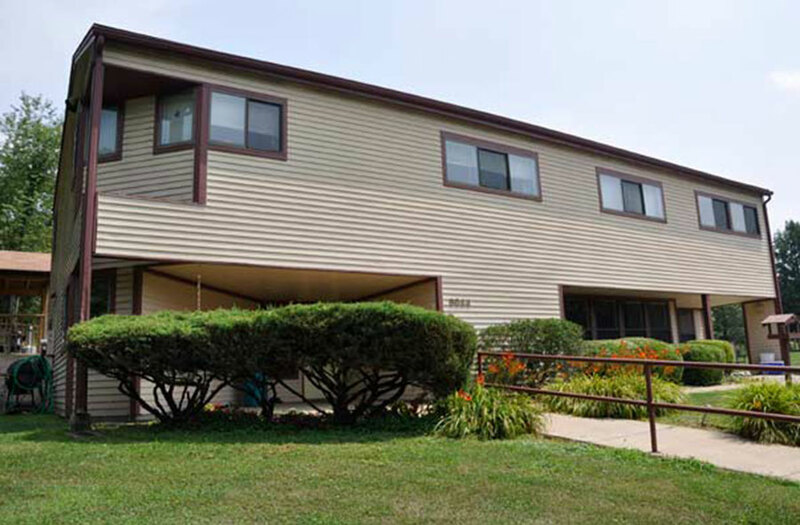 Tucked into a mixed-use, mixed-income area, and directly on the shores of Lake Erie, Willoughbeach Terrace is located near shops, restaurants, and a variety of local amenities that enable seniors to continue living independently. The building contains 50 units that are affordable to a variety of income levels. Amenities include a BBQ/picnic area, fitness center, library, and dog run among other features. The building also received a LEED Gold rating, validating the project's high level of energy efficiency and environmental responsibility.